A really common problem on iMacs unfortunately as a large amount of heat is generated inside that nice sleek aluminium housing. This heat is a big enemy of hard drives and will cause earlier failure than is normal. The situation is not helped by ingress of dust into the extensive cooling system so a top tip is to have your iMac stripped and cleaned once a year. Should the inevitable failure of the drive occur to you, it is alarmingly expensive to replace it with an original Apple drive. 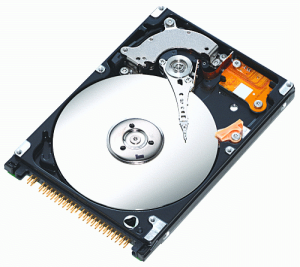 It is not necessary to use an Apple labelled drive however as a generic replacement of identical quality and functionality can be used with a much smaller price tag. On certain iMac models the Apple hard drive has a built in temperature sensor which is specific to that particular model. The cost of replacing these drives is very high, but again a generic drive can be used along with a genuine Apple external temperature sensor. Function is perfect with this modification and it reduces the repair cost by around £200! Regardless of your iMac model, it is not necessary to spend several hundred pounds on a hard drive replacement and very often the repair is around the £190 mark for parts, labour and re installation of OS X. This is also a great opportunity to increase the size of your hard drive and gain some more storage space. You could even take the opportunity to upgrade to an SSD and make your Mac much faster than when it was new. Visit the iMac repair page to find out more about my repair and upgrade service for iMacs. There is a lot of detail there about what can and can’t be done. You will also find prices.